Plastics is a synthetic polymer. They can be designed in any shape by applying heat or pressure. The plastics that does not become soft on heating and cannot be remolded into desired shapes is called thermosetting plastic. It is hard and strong. It becomes harder when heated but it does not melt. It is generally resistant to heat. That is why they are used as heat bearing insulator. It is used in electric switches, plugs, handles of pressure cooker and tea kettle, radio and TV cabinets, etc Bakelite, Melamine, etc are some examples of it. The plastic which becomes soft on heating and can be remolded into desired shape is called thermoplastic. It is usually elastic and soft. It can be given any shape when they are heated again and again.It means they can be remolded second time for different purpose. They are used in making ropes, bucket, pipe, etc. The main types if thermoplastics are polythene, Polyvinyl Chloride(PVC) and polystyrene. Plastics are lighter than metals, wood and stone.So, the articles of plastic can be easily carried. It does not corrode in air and water. It is not affected by acids and other chemicals. It is usually hard and transparent. It can be made in various colors. It is a bad conductor of heat and electricity. So, it is used as a good insulator of electric wires. It is also used for making different types of vehicles. It is also used to make pipeline fitting, water tanks, water bags, etc. 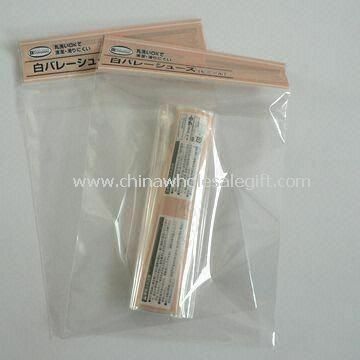 They can be used as thermal and electrical insulators. It is airproof, waterproof and non reactive. So, it is used for packing purpose as well. It is light and easy to use.So, it is used even in fans and wings ofplane. Light things causereduction in the consumption of oil. It causes soil, water and air pollution. 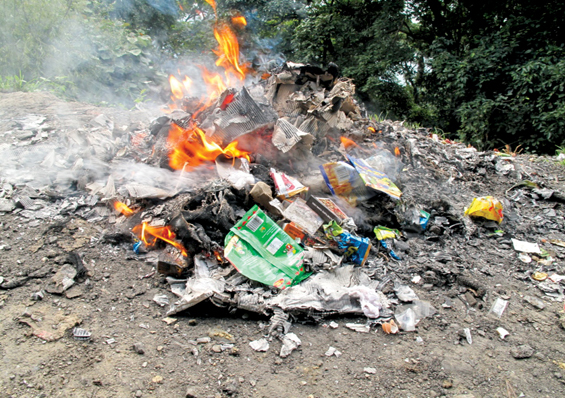 Some plastic catch fire easily and when burnt they produce poisonous gases and smoke. It cannot be seen as good as stone or wood. There are two types of plastics. They are thermosetting plastics and thermoplastics. Plastics is used as a good insulator of electric wire. Plastics is used to make different types of vehicles, make pipeline fitting, water tank, gags, thermal and electrical insulator, etc. Plastics is use even in fans and wings of plane. Give the definition of glass. P.V.C. is not used to cover the handle of pressure cooker but Bakelite is used, why? Glass is hard, amorphous, transparent and homogenous mixture of silicates of different metals. P.V.C. is not used to cover the handle of pressure cooker but Bakelite is used because P.V.C. becomes soft on heating while Bakelite becomes hard on heating and is bad conductor of heat. Why are plastics considered as the major cause of chemical pollution? Give two causes. b. Many plastics often produce poisonous gases and smoke on burning. Give the reason of using thermosetting plastic to cover the handle of pressure cooker. The thermosetting plastic is used to cover the handle of pressure cooker because it is bad conductor of heat and it does not become soft on heating. Environmentalists requests to avoid the use of plastics, why? Environmentalists request to avoid the use of plastic because plastic is non-degradable substance which produces poisonous gas and pollutes the environment. Write any two reasons that plastics are useful. a. It is cheaper and is easily available. b. It can be recycled and reused. Write any two differences between polythene and Bakelite. It becomes soft on heating. It becomes hard on heating. Write any two differences between thermosetting and thermoplastic. The articles made from thermosetting plastic cannot be remolded. The articles made from thermoplastic can be remolded. The process of formation of soap is ______. The raw material to make plastic is oil. Thermoplastics used for mobile phone casings is ______. Which of the following is used to manufacture carrier bags? Which plastic is used to laminate kitchen worktops? Why do thermosetting plastics not suffer change in shape once they have been set? Any Questions on 'Plastics '?